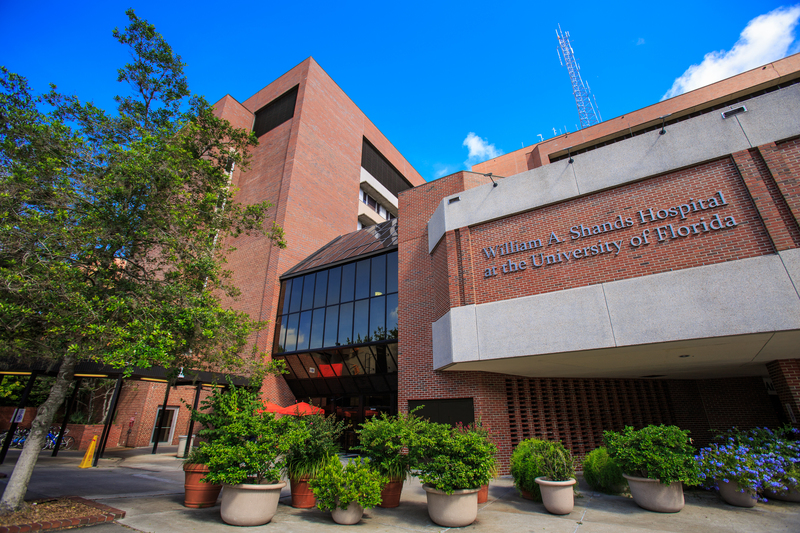 University of Florida Health Shands Hospital is among the nation’s best in six adult medical specialties in the 2017-18 U.S. News & World Report ranking of U.S. hospitals released today (Aug. 8). For the third year in a row, UF Health Shands ranked in more adult and pediatric specialties than any other hospital in Florida — a total of 12, factoring in pediatric rankings released earlier this year. The hospital was one of just 152 nationally of the 4,658 evaluated to be ranked in at least one adult specialty in the latest ratings. UF Health Shands’ highest-ranked specialty is nephrology at 25th. Also ranked are diabetes and endocrinology (tied for 31st), geriatrics (42nd), gynecology (35th), neurology and neurosurgery (36th) and pulmonology (tied for 34th). 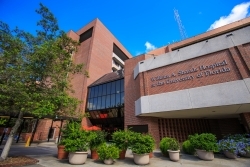 UF Health Shands is the only hospital in Florida ranked in gynecology. U.S. News also evaluated treatment involving “common procedures and conditions” at UF Health and rated five as “high performing.” Those are abdominal aortic aneurysm repair, colon cancer surgery, heart failure, chronic obstructive pulmonary disease and lung cancer surgery. The specialty rankings are based on 2,600 metrics centered around patient safety and survival; resources related to patient care, which include the hospital’s volume of patients and nurse staffing; and the hospital’s reputation among specialists for developing and sustaining the delivery of high-quality care for patients with the most-challenging conditions or who need difficult procedures. U.S. News made several changes in 2017-18 to the methodology used in its hospital rankings. U.S. News, for example, said the new rankings addressed the role socioeconomic factors play in treatment outcomes so that hospitals are not penalized if they provide care to poorer, high-risk patients. It also made an adjustment so that hospitals were not penalized if they took on high-risk patients transferred from other facilities, among other changes. Earlier this summer, U.S. News also ranked UF Health Shands Children’s Hospital in six medical specialties. Those are pediatric cardiology and heart surgery (21st), diabetes and endocrinology (23rd), pulmonology (33rd), cancer (46th), neonatology (48th) and neurology and neurosurgery (49th).